Life is full of ups and downs, making us experience a range of different emotions every day, many of which make us feel anxious or over-stressed. That’s why many people turn to nature as a way to escape the stress of daily life and refresh their mind and body. Unfortunately, our busy lifestyles also make it impossible to venture into nature as often as one should. That’s where aromatherapy can help. A good diffuser and some of the best woodsy essential oils can help you achieve a forest-like ambiance in your living room. A big reason why forest air feels so refreshing is that it’s rich with the dewy, woodsy scents different trees and herbs release into it. When transformed into essential oils, these scents are even more potent and can affect our bodies and minds in miraculous ways. 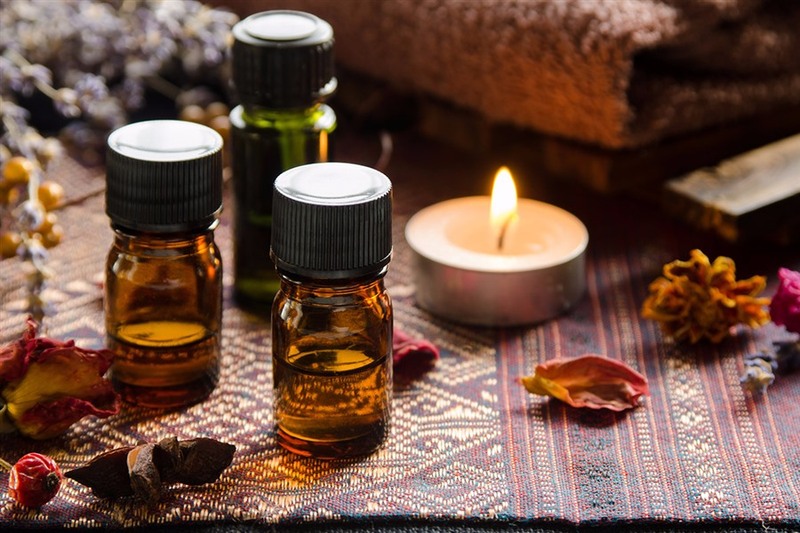 Let’s take a look at some of the most popular woodsy essential oils and some of the reasons you should use them. Cedars are enormous trees that grow tall and strong. The essential oil derived from cedars has a sweet and warm woody note that is wonderfully versatile and can blend with other woodsy essential oils, as well as lavender, neroli, jasmine, and myrrh lime. And just like the tree is known for its powerful appearance, so is the effect the cedarwood oil can have when diffused into the air. It’s commonly used for releasing tension and anxiety and encouraging a positive attitude, allowing you to tap into your inner strengths. The calming property of cedarwood oil is especially beneficial in easing respiratory issues. Frankincense has long been regarded as the most sacred of oils, being used for thousands of years in meditation and spiritual rituals. Today, frankincense is still being used as a precious aromatherapy oil with many benefits for the home, mind, and body. It has a recognizable spicy and slightly balsamic scent which makes it a popular ingredient in many perfumes. Being a type of incense, frankincense promotes a calm feeling and can help reduce heart rate and high blood pressure. This makes it an ideal oil for meditation and improving sleep. The oil also has effective antiseptic qualities that help prevent bacteria and viruses from spreading inside the house. One of the most popular woodsy essential oils, sandalwood has a woody base that is slow and sensual with a certain sweetness that only becomes noticeable after a while. The sandalwood scent has a harmonizing effect that helps reduce confusion, fear, anxiety, and nervous exhaustion. Due to its sensual notes, this scent is also commonly used as an aphrodisiac. Like most woodsy oils, sandalwood also has a profound effect on the respiratory track helping treat symptoms like sore throat and dry cough, as well as relieve the effects of more serious conditions like asthma and bronchitis. It can leave a subtle aroma lingering in the air even hours after you’ve turned the diffuser off.